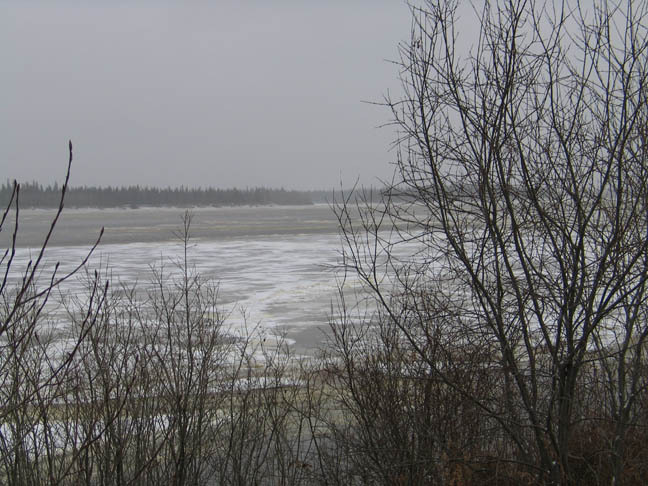 The Moose River freezes in the fall and breaks up in the spring. 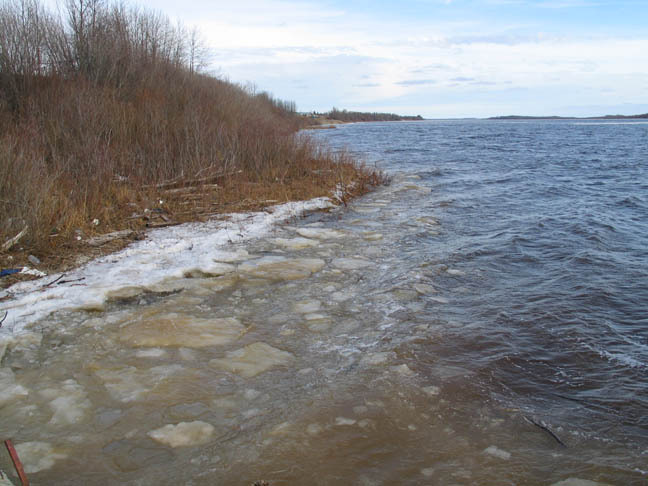 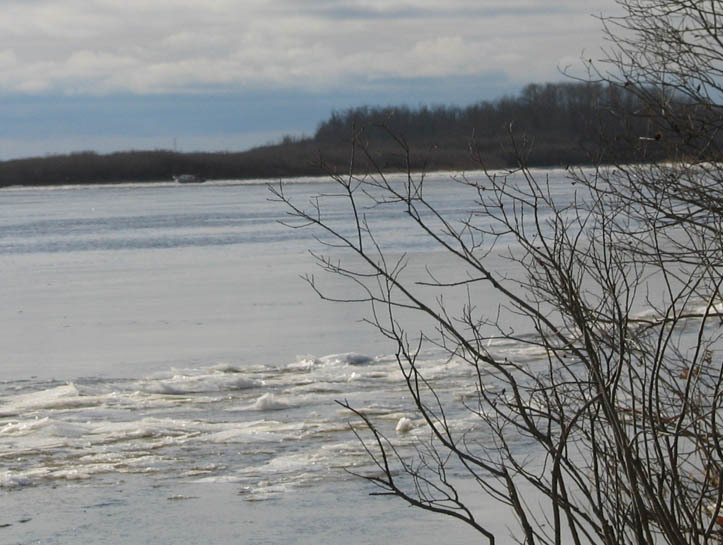 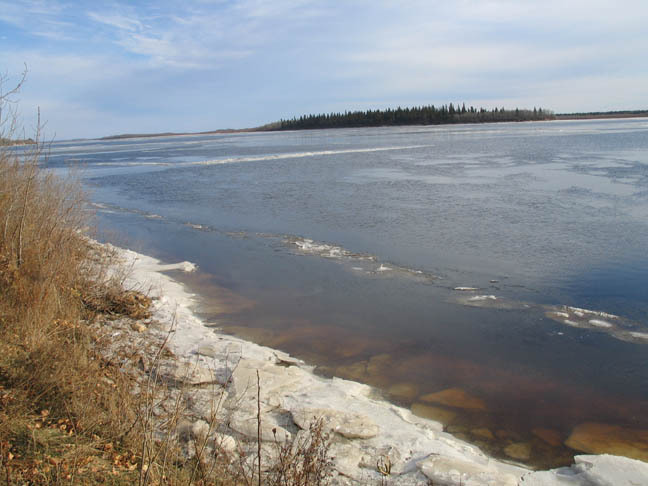 Sometimes the initial fall freeze up is followed by a brief period of warmer weather before the river freezes up for the winter. 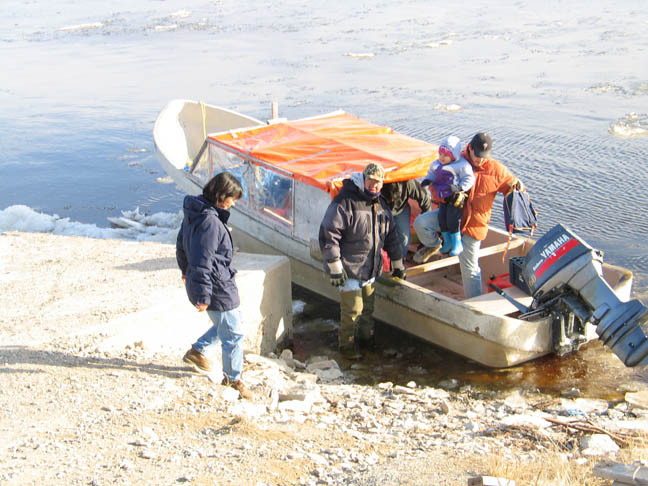 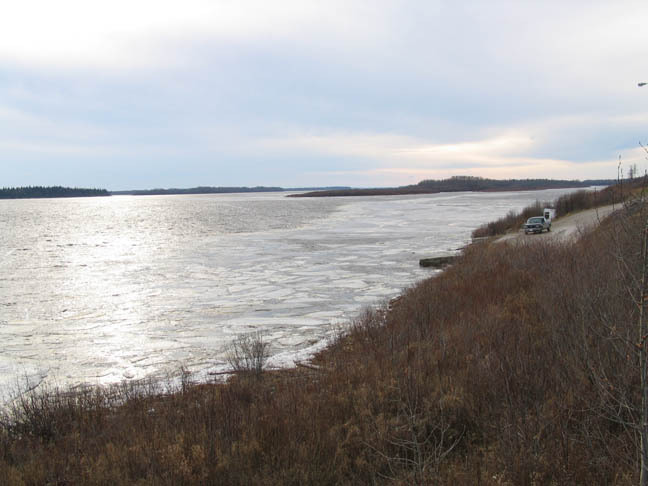 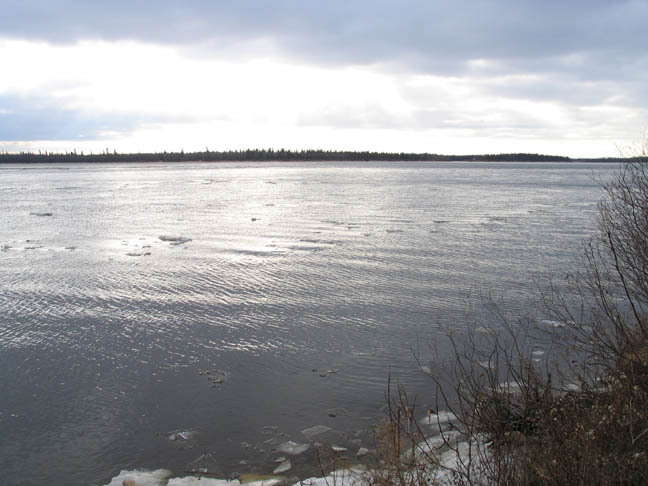 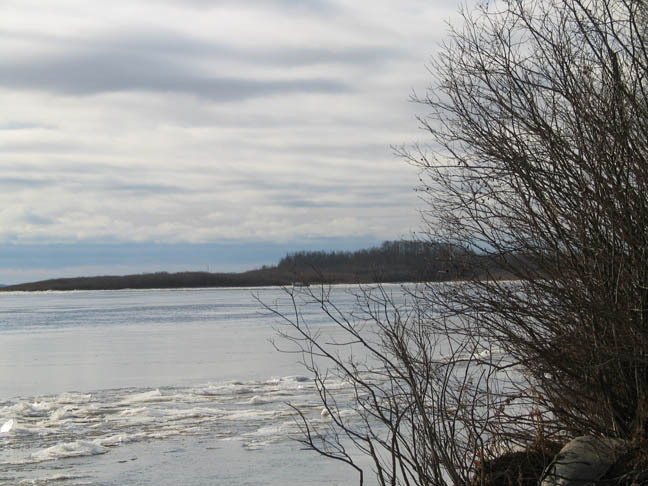 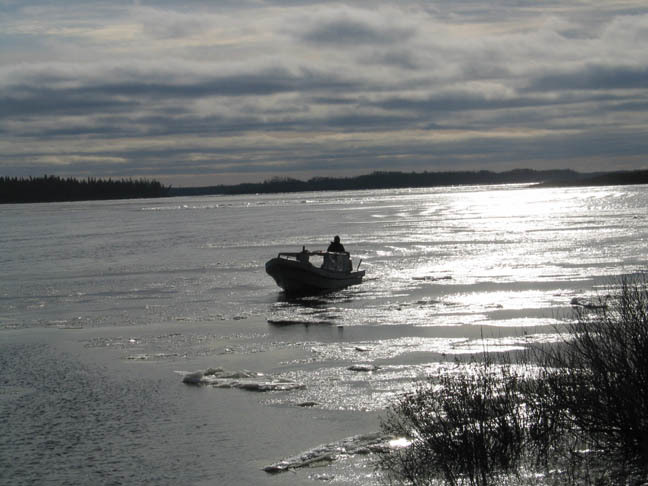 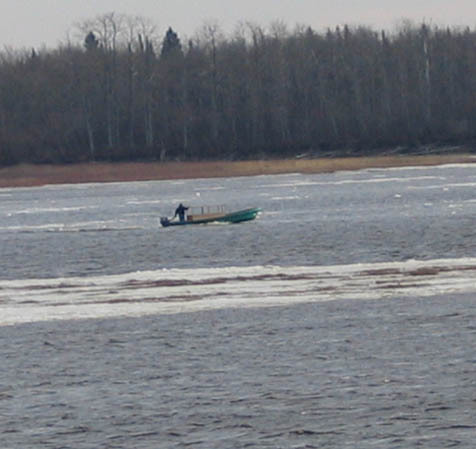 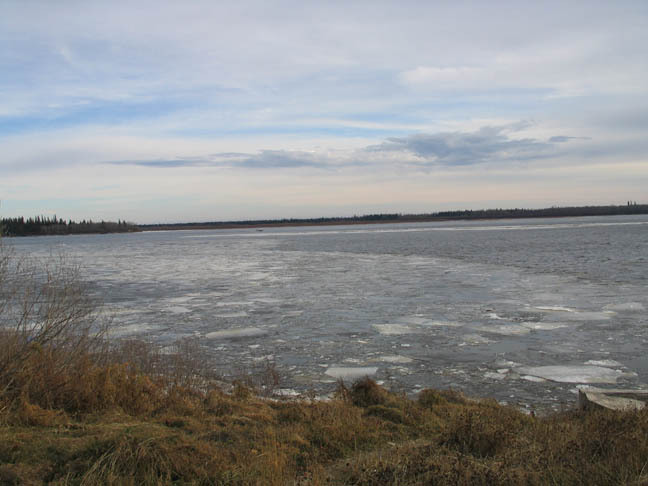 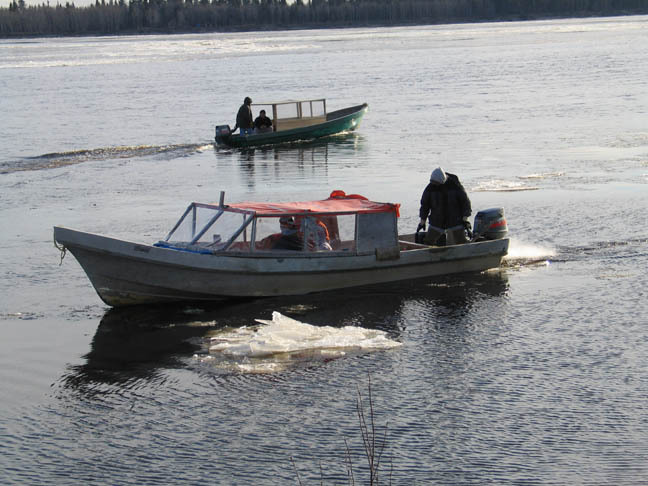 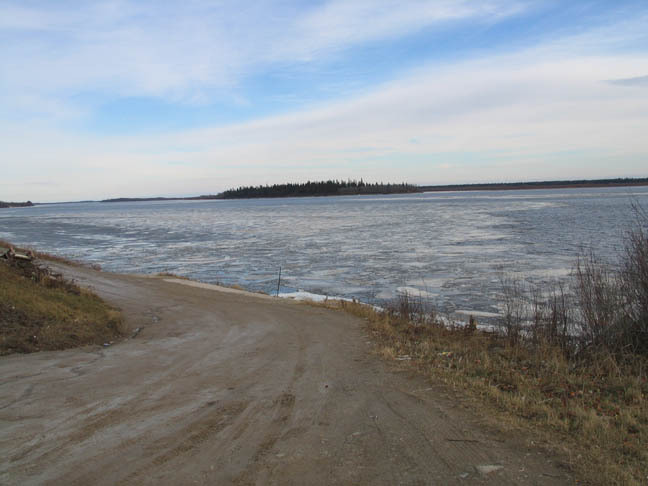 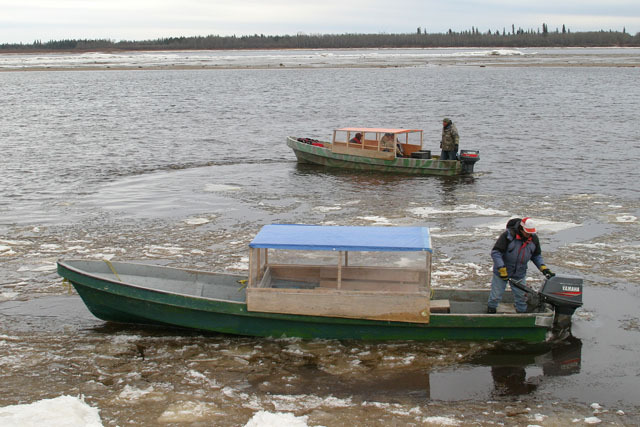 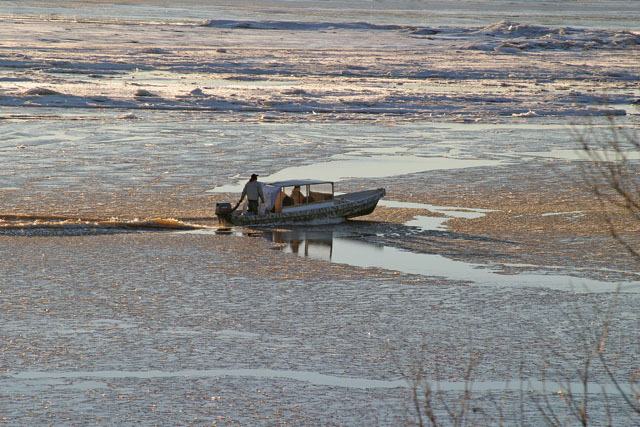 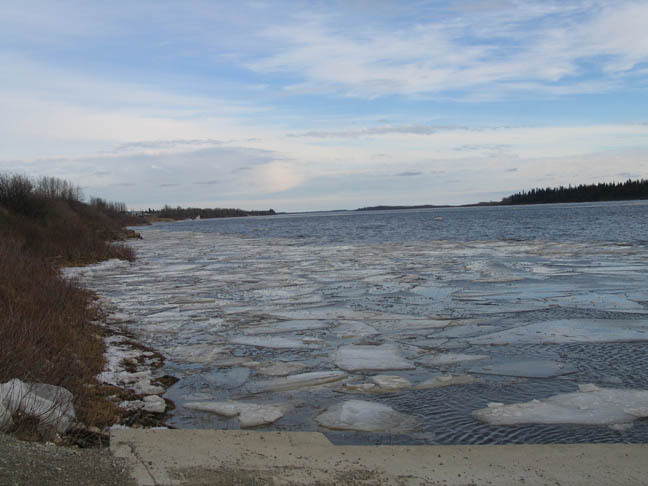 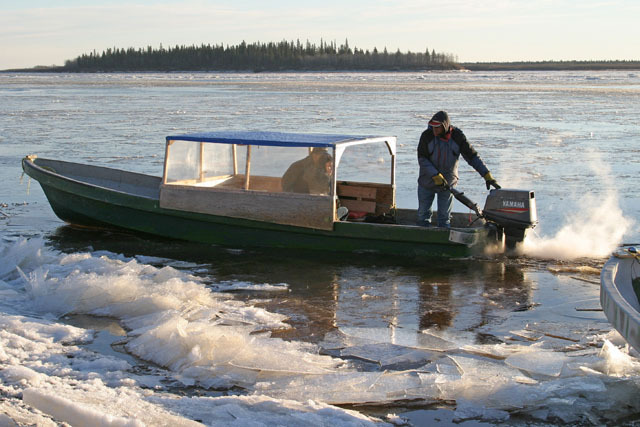 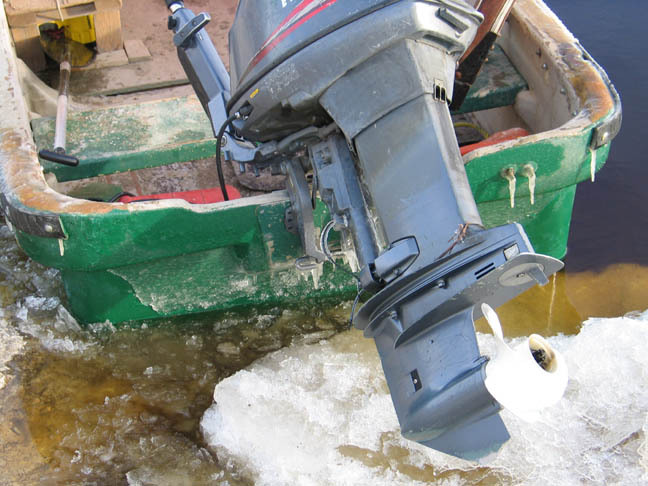 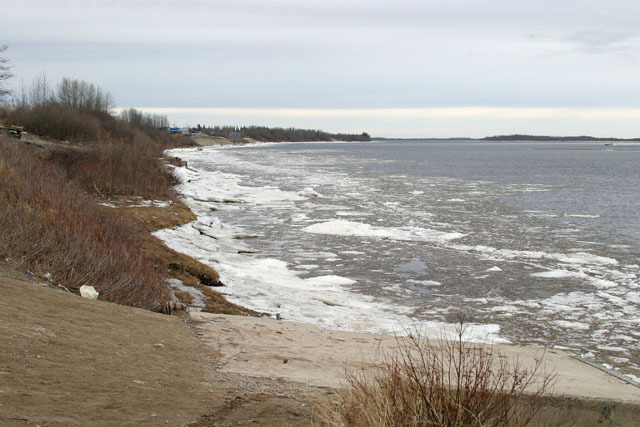 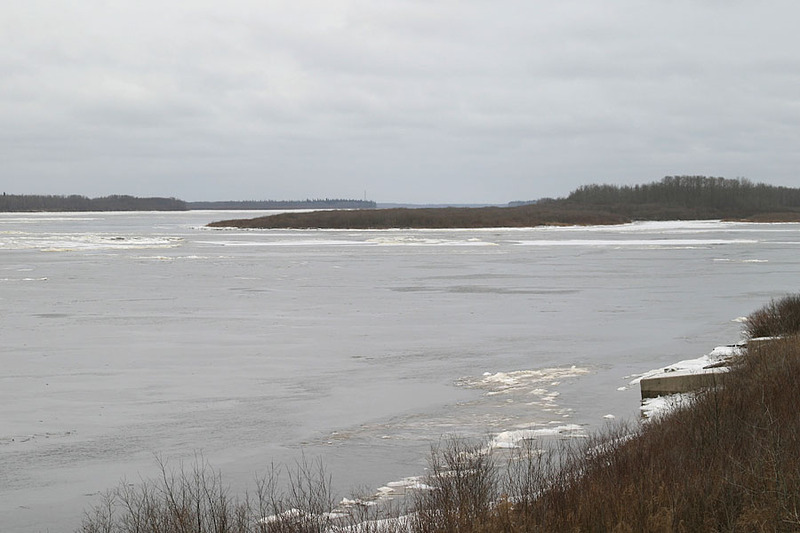 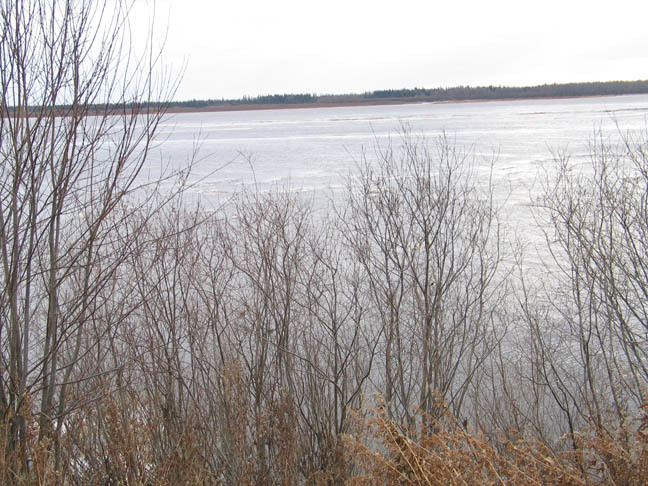 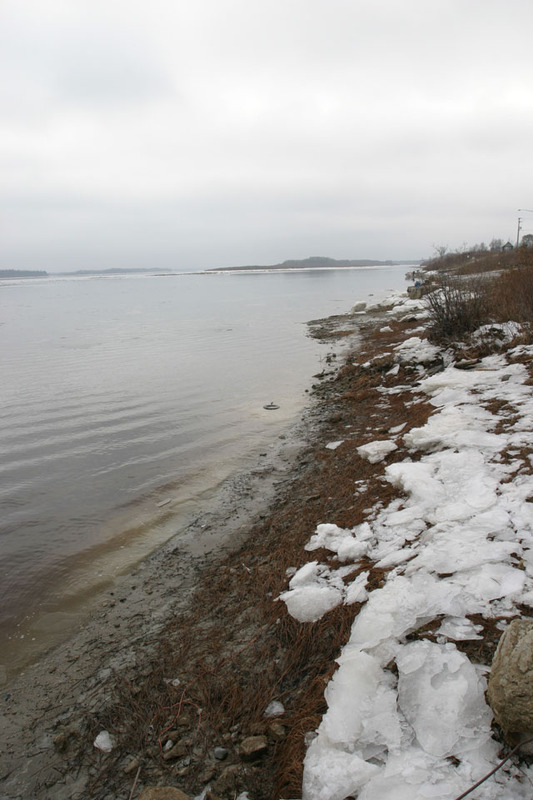 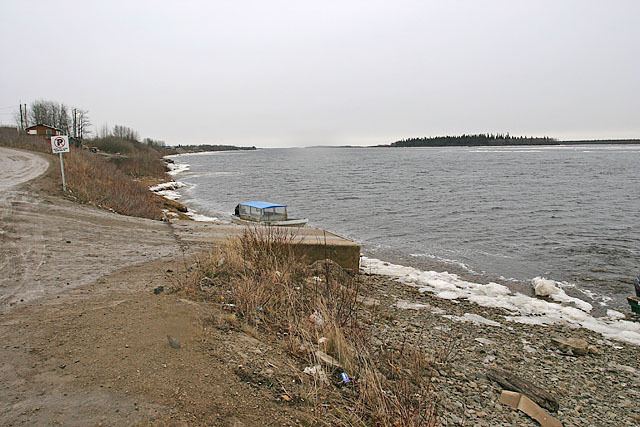 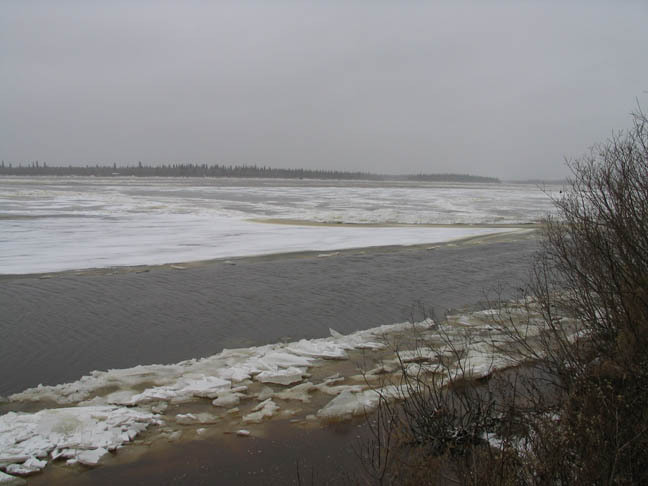 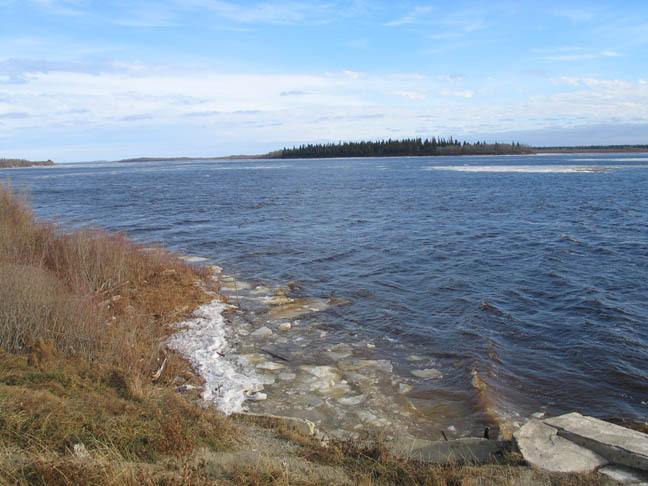 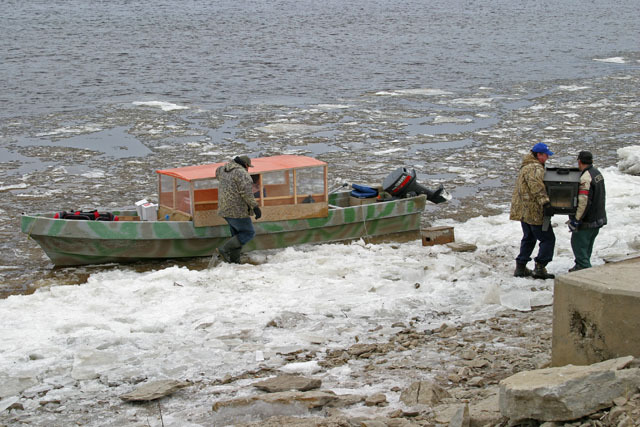 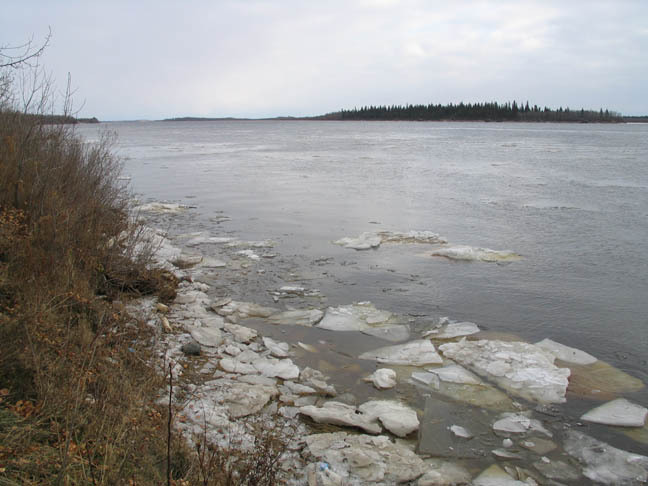 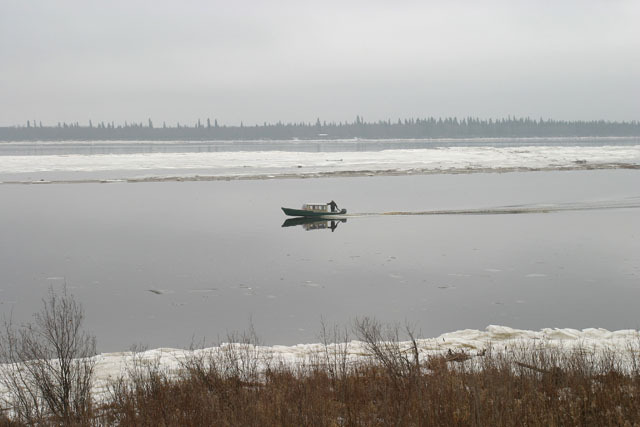 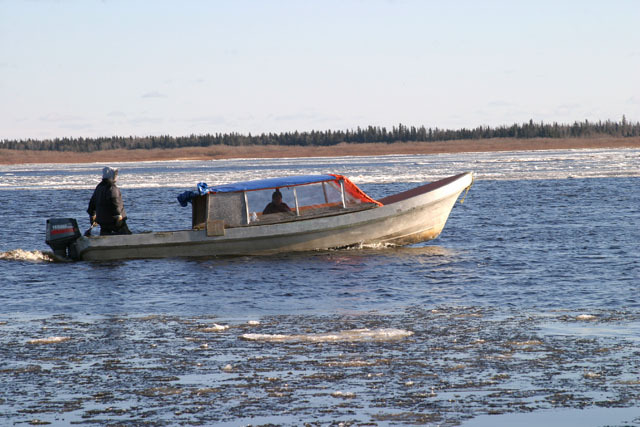 In November 2003 the almost frozen Moose River broke up due to a warm spell. 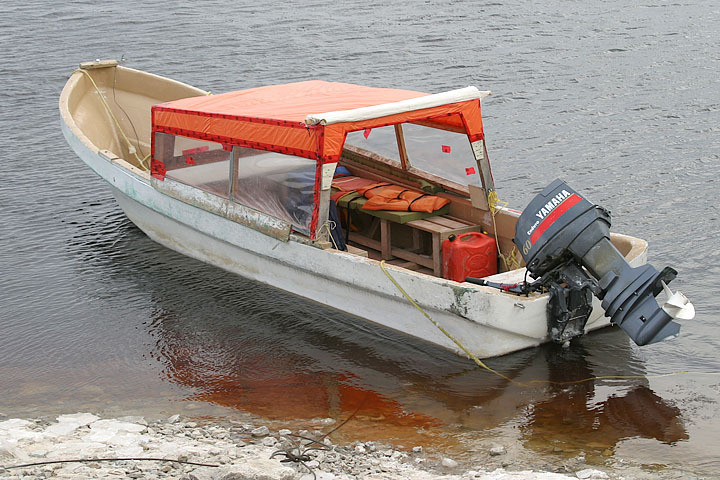 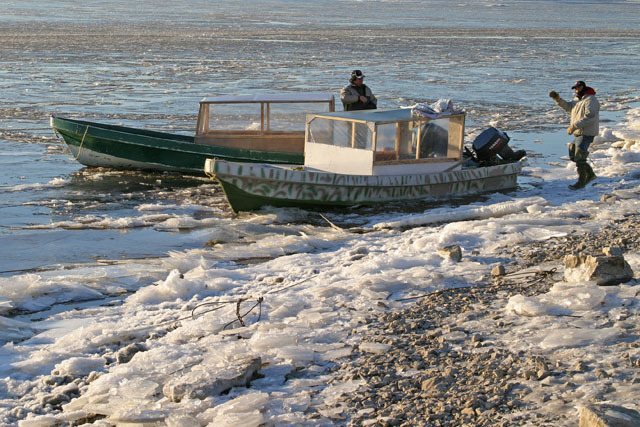 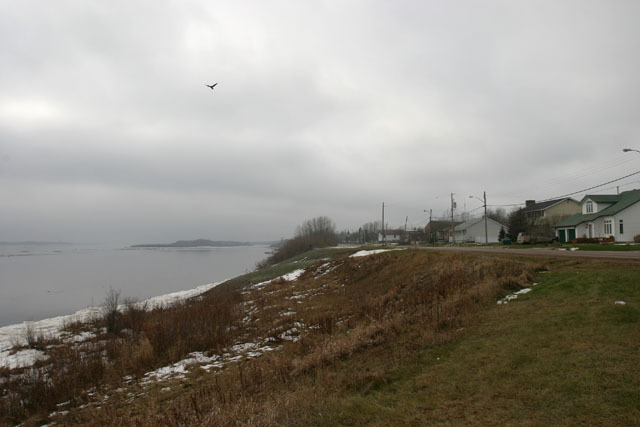 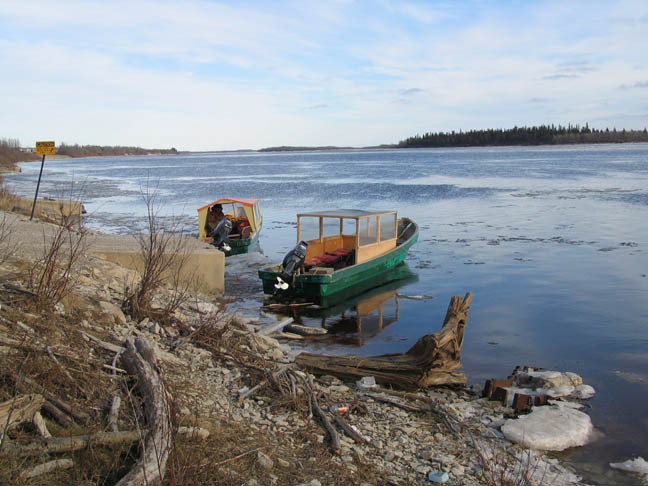 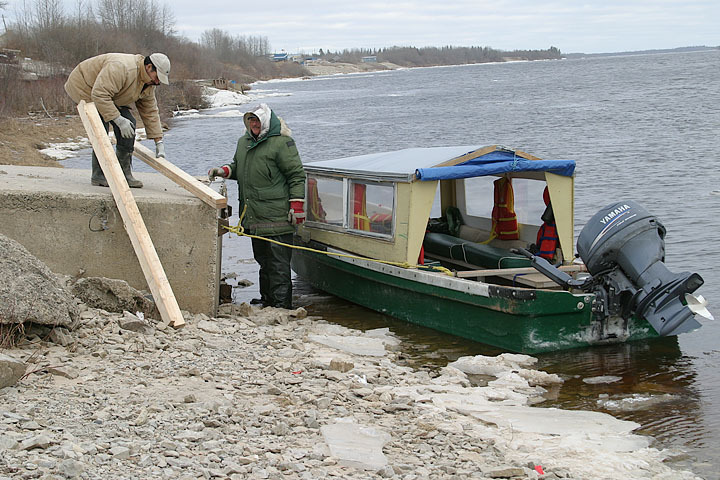 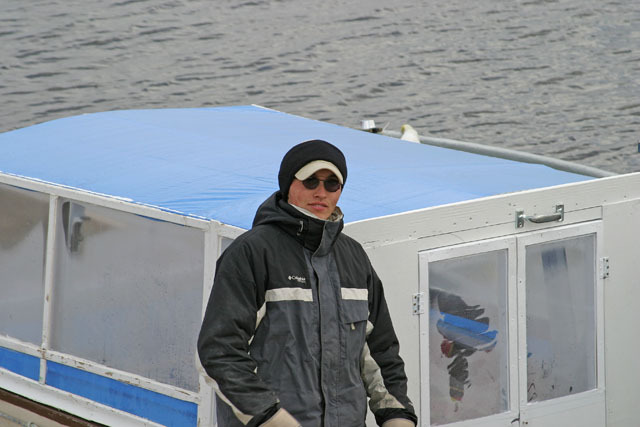 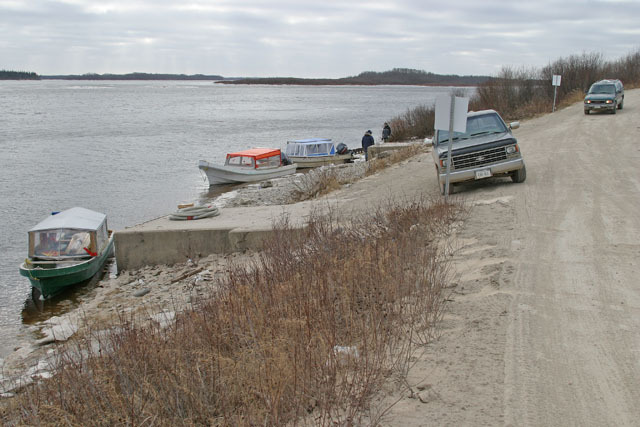 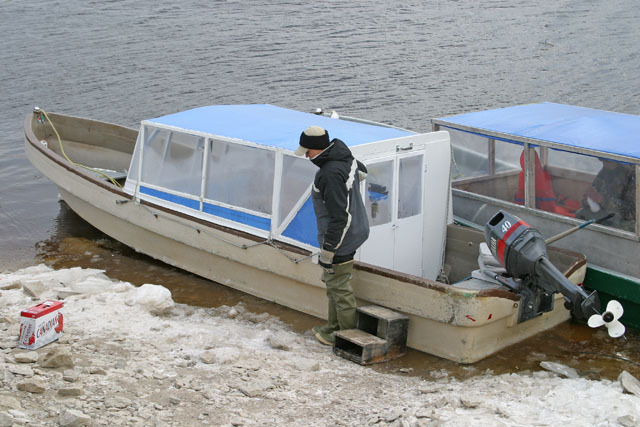 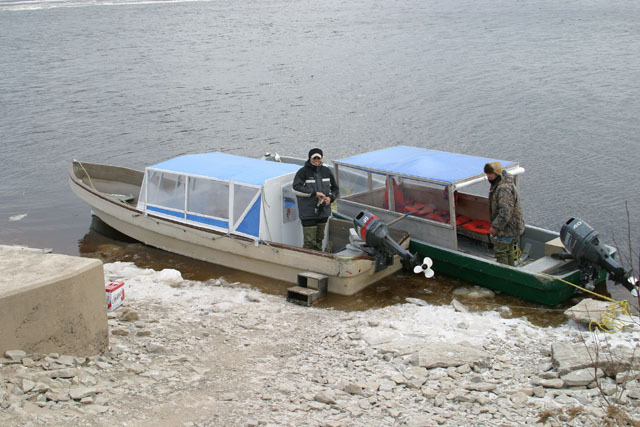 The following year, boat traffic was generally off the river by November 11th but warm temperatures allowed taxi boats to return on November 16 2004. 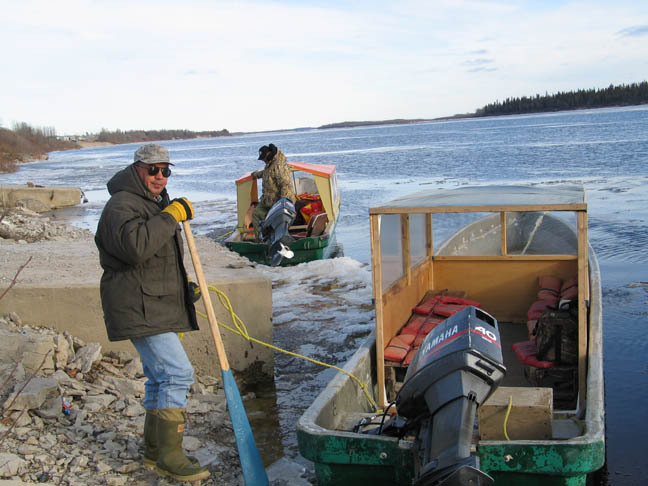 This was a great convenience for people who live in Moose Factory, especially if they needed to bring things over from Moosonee. 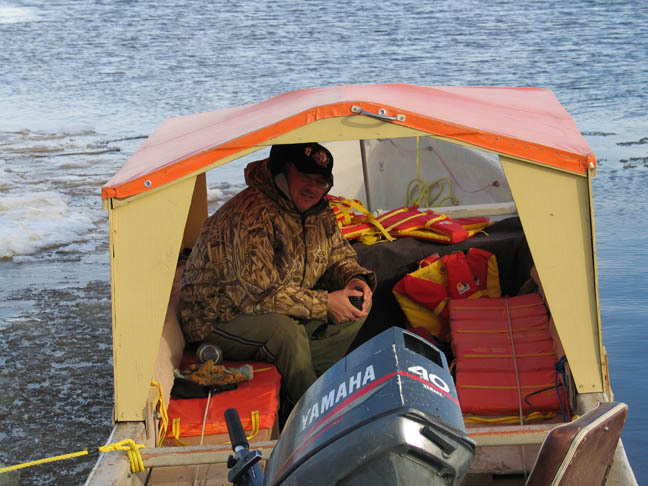 During helicopter season travel is expensive and it is difficult to bring large items across. 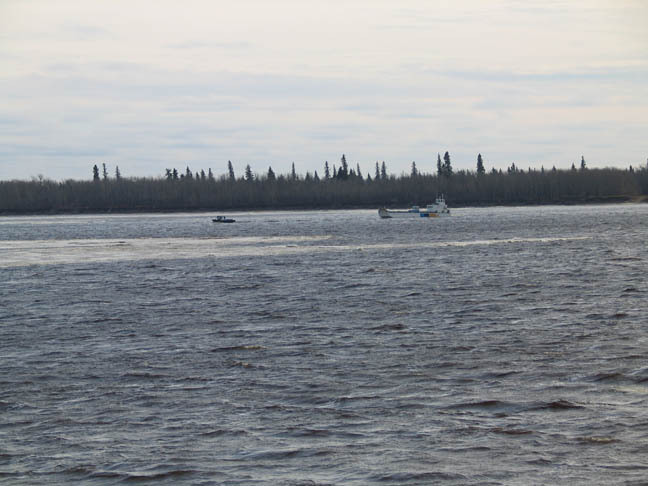 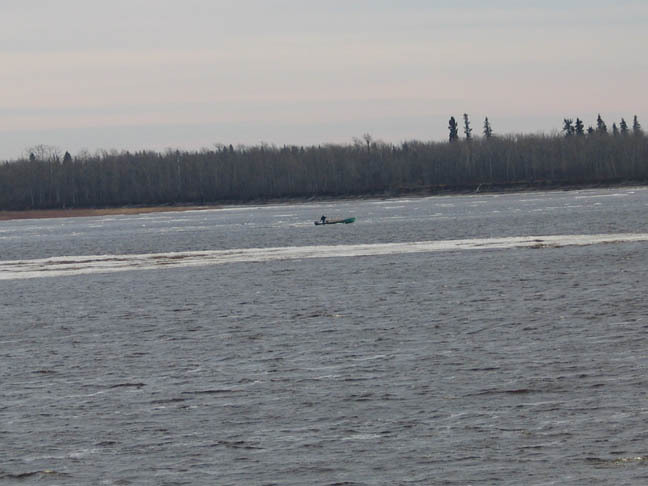 Boats were still in the river on November 24th, carrying people as well as building supplies. 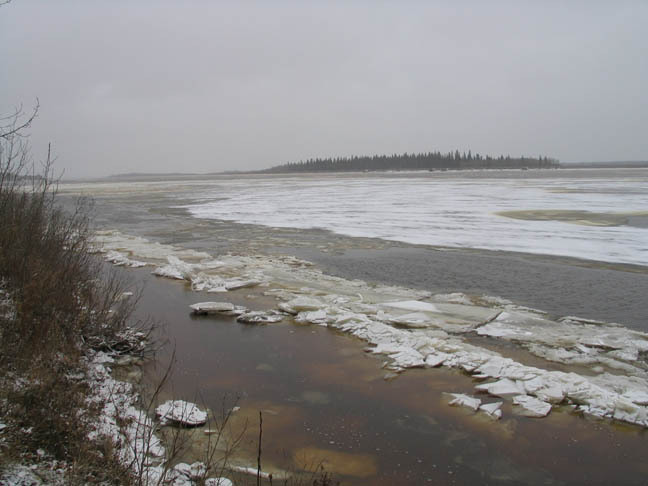 Pictures taken November 20, 2003. 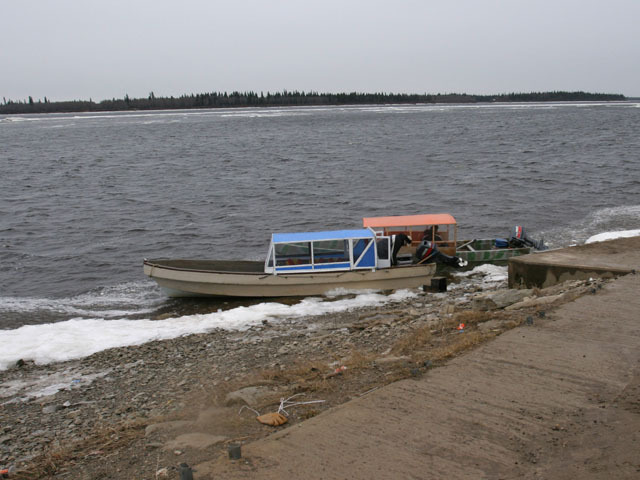 Pictures taken November 21, 2003 boat taxis still running! 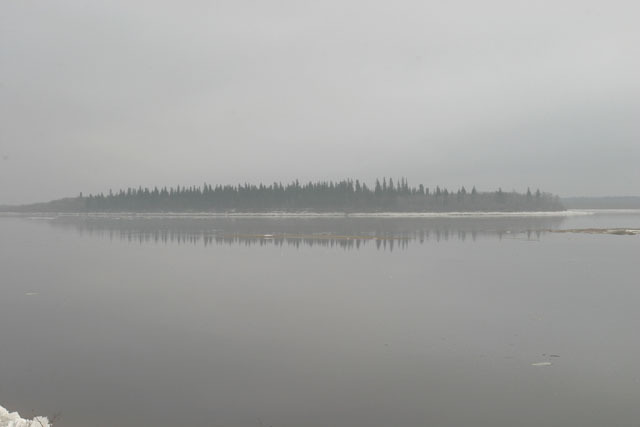 Even reduced price from yesterday. 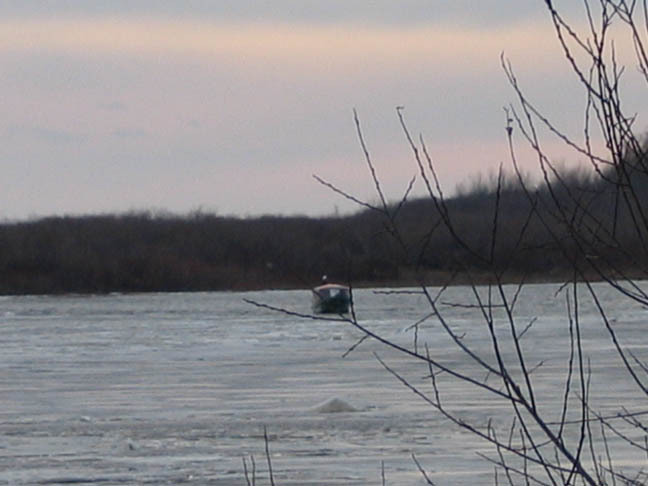 Pictures taken November 22, 2003 and boat taxi still on the river. 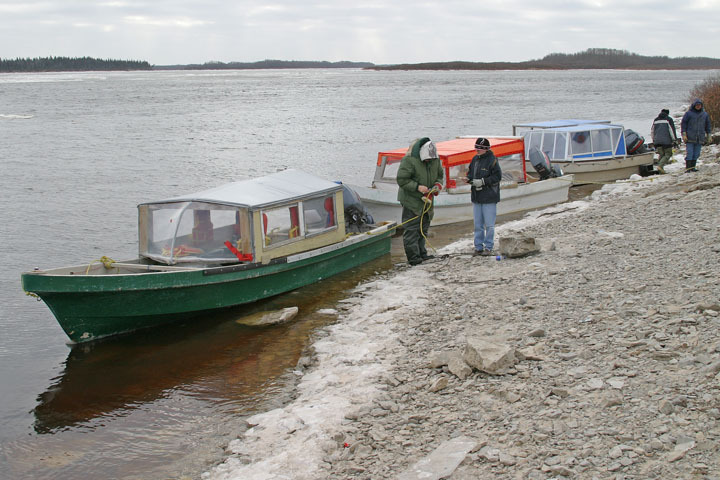 Pictures taken November 23, 2003. 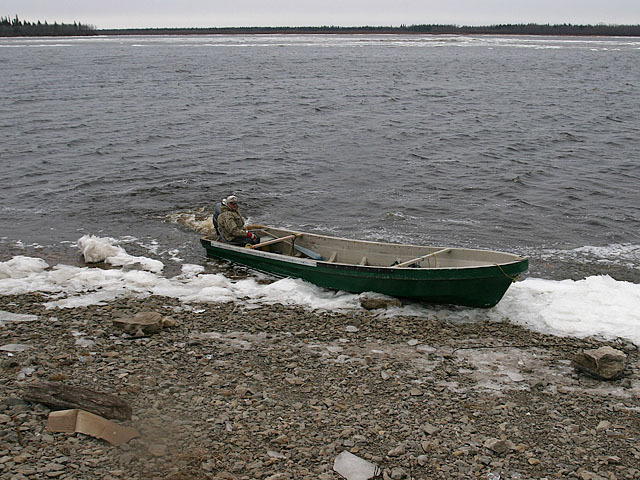 No more boats.